Meet Eileen Jordan, NP-BC. She has been injecting filler and Botox for over 20 years. 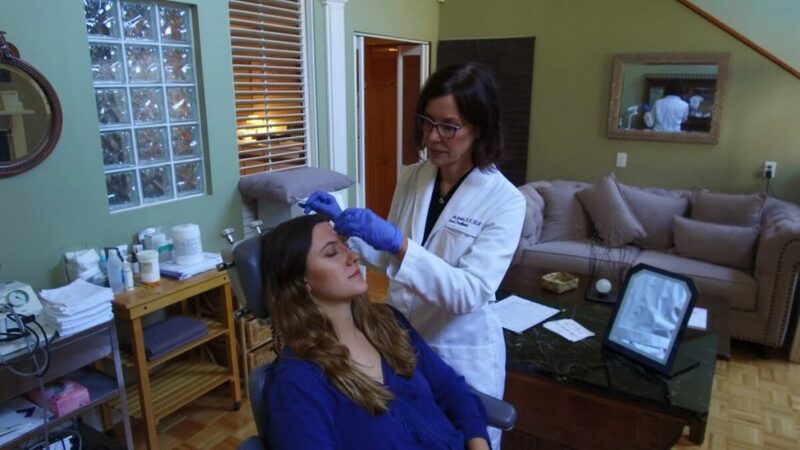 As a plastic surgery nurse practitioner, she is well-versed in ancillary, non-surgical procedures, such as Botox, dermal fillers, the use of lasers, and chemical peels. Working collaboratively with some of the finest plastic surgeons in the bay area, she is also able to discuss surgical needs, and advocates for her patients as a support person, should surgical intervention be desired. Eileen is an expert in the injection technique of many different fillers and Botox. With a reputable background, Eileen learned from an ophthalmologist, and the inventors of Botox. She also served as a clinical educator for Reliant technologies, who introduced the Fraxel laser to the cosmetic world. She also utilizes IPL treatments and chemical peels to address skin care concerns. Whether you know what treatment you want or are interested in learning more, Eileen takes the time to understand your skin concerns and helps you meet that goal. Eileen was one of the first nurses in the bay area to open a medical spa, and has been serving her clients since May, 2000. Her facility is situated in the Richmond district of San Francisco, and with a concierge platform provides a calm, serene unique setting for her clientele. As a patient advocate, Eileen puts her patients’ concerns first. If you would like to book an appointment or find out more then please click the button below to get in touch. © 2017 Intelligent Beauty LLC. All Rights Reserved.